Check if you're eligible for a Balance Transfer Card without affecting your credit score. Manage your account anywhere, 24/7 with our safe, secure mobile app or through online servicing. *You'll need to transfer the balances within three months of your account opening. You may receive a shorter introductory period (22 or 18 months) an APR (21.9% or 24.9%) depending on your individual circumstances. Read these before you apply: Balance Transfer Credit Card Summary Box , Terms and Conditions, Bank Of Ireland UK and Post Office privacy notices. Bank of Ireland UK adheres to the Standards of Lending Practice which are monitored and enforced by the Lending Standards Board. Please read the Statement of Lender and Borrower Responsibilties which sets out our key responsibilities. As well as 0% on balance transfers for up to 25 months, you'll enjoy a host of other great benefits. We want to be clear on the charges you can expect to pay with our credit cards. So here's a summary of the interest and fees that apply and when. Plus, ways you can avoid extra charges. 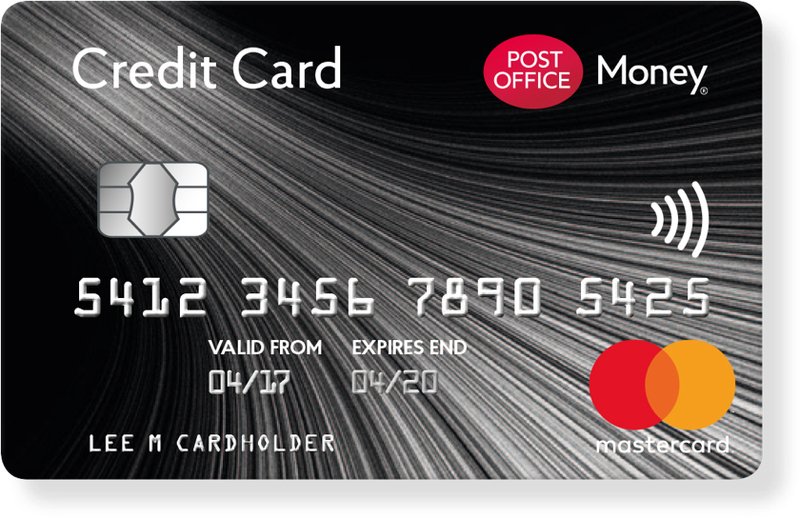 The example we've given above shows the APR (19.9%) and credit limit (£1,200) you might typically get on our Balance Transfer Card. But it’s just for illustration. You'll find a full breakdown of our fees in the Balance Transfer Card Summary Box. Wouldn't it be great to avoid waiting for your statements in the post, and having to deal with piles of paper? With our mobile app you can tell us check your balance and transactions, make payments and set up or change Direct Debits at any time. When you need more control - like access to your PIN or to transfer a balance - there's our full online servicing. Just sign up and acess it any time from a laptop or desktop. To help you manage your Credit Card,from time to time we will send you free alerts about your account. If you would like not to receive these alerts in the future please contact us. have before taking on more debt. As one of the UK's most trusted brands, you can count on Post Office to help you manage your money carefully. One way is with the Balance Transfer Credit Card. time to bring the balance down without it getting bigger. The smarter way to spend at home and abroad – with up to 8 months on purchases and no fees on anything you buy abroad. Representative APR (variable) 18.9%. Get our longest balance transfer deal!